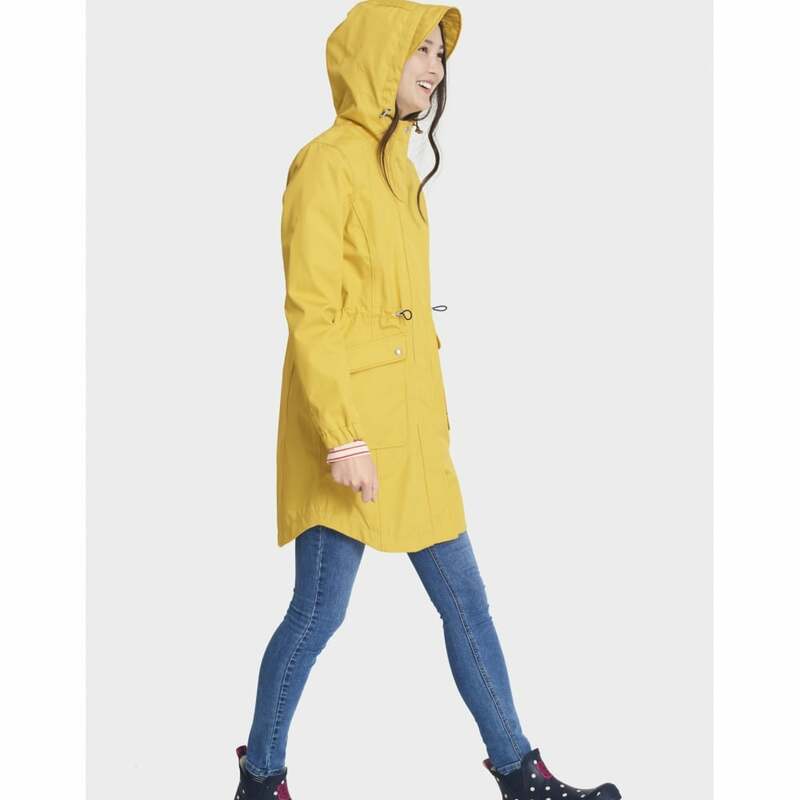 Part of the "Right as Rain" collection this classic rain coat is sure to keep you warm and dry during any rainy spells this season. Breathable and comfortable this coat has an adjustable internal drawstring meaning you can alter the shape to flatter your figure. The longer cut provides better wet protection and a jersey lining will keep you cosy. Fastened using a zip and button this coat is not only practical but the on-trend colours mean it is stylish too.